Find out the terms and conditions of enrolment for an international student at Auckland Normal Intermediate. 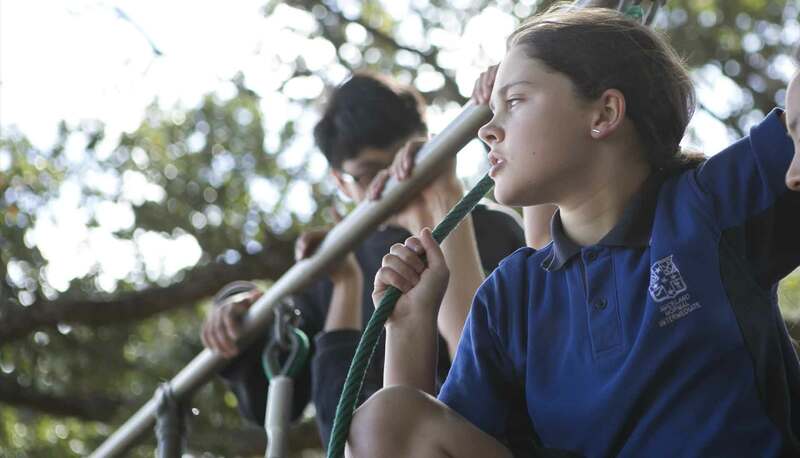 Although an elementary level of English is desirable no student will be refused acceptance due to their level of English, as all levels of English proficiency are catered for at Auckland Normal Intermediate. Students must observe the conditions of the Visa and Student Permit. If a student breaks the terms of the visa/permit, the school will report the fact to the New Zealand Immigration Service, which may result in the student having to leave New Zealand. Because class placements are decided on the evidence of assessment after arrival in New Zealand, all information given before enrolment about placement on courses and in classes is provisional. The school reserves the right to adjust placements and individual programmes at any time, if it is in the student’s interests to do so. All students are required to have a travel and medical Max insurance policy for the duration of their period of enrolment from the school’s nominated insurance company (Southern Cross). The school will keep a record of the policy number. With a designated caregiver chosen by their parents / legal guardians. All accommodation offered by designated caregivers must be approved by the school, as required by the Code of Practice for the Pastoral Care of International Students. An indemnity must be signed by the parents giving the designated caregiver authority. The student and/or parents will provide academic / behavioural / medical and other information that is relevant to the wellbeing and course placement of the student. Change of address – Parents must inform the school of their pending or new address, telephone numbers, fax number and e-mail address before the change takes place. The student and/or parents will also advise the school immediately of any change in type of accommodation (eg a change from living with parents to living with a designated caregiver) and any change in the contact details of the student and/or parents. Auckland Normal Intermediate has an enrolment policy with defined boundaries for domestic students. Students living outside this school zone must enrol in their own zoned intermediate. In the event of an enrolled international student who gains domestic student status, the student would be expected to live within the defined school zone or move into the school zone immediately. If the student continues to live outside the school zone, they are required to transfer from Auckland Normal Intermediate to a school in their local area. Please keep the original copy of your child’s mid-year and end-of-year report and their Certificate of Attendance. Do not give the original copy to anyone. Take copies of the reports and Certificate of Attendance and keep the original and copies in a safe place. Fees for International Students cover the period of enrolment only. They do not cover administration costs of providing new copies of documents after the student has left our school. Any document requests outside of this or after the student has left will incur a charge of $10.00 per document. I understand the school is not able to provide student documents after one calendar year. Auckland Normal Intermediate 학생 유학생 등록 서류Auckland Normal Intermediate는 학생의 공식 서류를 일년 이상 보관하지 않습니다. 따라서 일년 후에는 학생에 관한 서류를 학교가 제공할 수 없습니다. 따라서 학생의 중간 성적표와 학년말 성적표 원본을 어디에든 제출하기 마시고 꼭 안전하게 보관하시기 바랍니다. 타 기간에 제출시에는 성적표와 재학증명서는 복사하여 제출하시기 바랍니다. 학비는 학생이 학교에 재학중인 기간만을 포함합니다. 저는 재학증명서와 성적표가 발행된 지 일년 후에는 학교에서 위의 서류들을 제공하지 않는다는 것을 이해합니다. Auckland Normal Intermediate requires that international students have a current Medical and Travel Max Insurance Policy from Southern Cross, the school’s accredited insurance agent. The insurance policy will cover the planned period of study. Parents, caregivers, students and agents will be informed upon application that they are required to have this insurance in place before starting at our school. The school will keep a record of the insurance policy number and the type of cover provided. Students in Years 7 and 8 may live with a parent or with a designated caregiver chosen by their parents/legal guardians, subject to approval by the Ministry of Education. All accommodation and designated caregivers must be police vetted and approved by the school, as required by the Code of Practice for the Pastoral Care of International Students. An Indemnity Form must be signed by the international parents stating that the designated caregivers are‘bona fide’ relatives or close friends of the student’s family. In a Homestay only with the approval of the “Administrator”. All homestays must be approved by the school, as required by the Code of Practice for the Pastoral Care of International Students and application must be made to the “Administrator”. For enquiries about accommodation, please contact the International Student Coordinator at the school – Mrs Amy Harrison. If the people designated by the parents to look after their son / daughter are not a ‘bona fide’ relative or close family friend, the school will treat the accommodation as a Homestay and will follow Code of Practice requirements for police vetting and monitoring. Parents will be informed in writing of the school’s decision within seven days of the interview. Placement at a particular Year level or class is at the discretion of the Principal. This may be dependent upon class numbers, English language proficiency and any other school assessments. If application is accepted, Auckland Normal Intermediate will send a Confirmation Offer of Place letter to the parents, who will have 14 days to paythe school’s fees. This will confirm their acceptance of an offer of a place for their son / daughter at Auckland Normal Intermediate. Where a student is absent or consistently truanting from school (see above), then Auckland Normal Intermediate will terminate the enrolment. If a student’s behaviour is of an unacceptable level, then a meeting with the student, the parents / caregiver, and the school will be arranged. If the behaviour does not improve, written notification will be given to the parents warning of the danger of termination of the enrolment. If there is no further improvement, the parents and the student will be notified in writing that the student must leave at the end of that term, or earlier if the school decides, and will not be eligible to return the following term. There will be no refund of fees paid if this occurs. An ‘acceptable level of behaviour’ would be seen as following the school rules and the school ‘Code of Conduct’ as provided to each student. The intention to withdraw a student from school must be in writing by the parents prior to the student’s last day, giving the date of the final day of attendance and the reason for leaving.The school will notify the Immigration Service. The Refund Policy for International Students will apply. In the case of absences, the parent / caregiver must follow the normal school procedure of notifying the school in the morning of the first day of the absence, and following this up with a written note on the first day of the student’s return to school. If the absence can be foretold – eg an appointment – then the school is to be informed in writing the day prior to the appointment or earlier. Where the student is absent with no reason, then the parents or caregivers will initially be contacted by the school for an explanation. Where a student is being truant from school, the school will have a meeting with the parents to rectify the situation. If the truancy continues then a family meeting will be held and contingencies put in place. If this does not rectify the situation then the enrolment will be terminated and the Immigration Service notified. If the student does not attend for more than twenty consecutive school days then the school will, in writing, notify the parents / caregivers that the enrolment has been terminated and the Immigration Service notified. However if the parents / caregivers have previously notified the school in writing that the student will be absent for a period of time, with the full reason for the absence, the place shall be held, providing all fees have been paid in full, as required. What to do if you have a grievance? We want you to be happy at Auckland Normal Intermediate. There are times however, when things do not go as smoothly or as well as we may like. Here are some ideas about what you can do about it. Make a time to talk to your classroom teacher about your concern. If your concern is the classroom teacher, make a time to talk to the Teacher responsible for International Students. After a few days, if you do not think the problem has been solved by your classroom teacher or by the teacher responsible for International Students, talk to Deputy Principal Mr Shane Devery. If after a few days, after you have spoken to Mr Shane Devery, the problem is still there, talk to the Principal, Mrs Jill Farquharson. Take the time to talk to your teacher about your concern. You can also talk with Deputy Principal Shane Devery. He is very helpful, especially with broken friendships. You can make an appointment at the Office through the Principal’s Personal Assistant. Make a time to talk to the Teacher responsible for International Students. Students are permitted to carry their mobile phones with them during the day. The school accepts no responsibility for mobile phones that are carried around the school or are left in bags or desks. Teachers will lock student’s mobile phones in a secure cupboard or filing cabinet if requested. No use of social media during the school day is permitted, e.g. Facebook, Instagram, Snapchat. Students are encouraged to talk to their class teacher or duty teacher if they have any concerns – no matter how small. Bullying is never ignored; we take a serious stand against any bullying (physical or verbal) behaviour. Students and parents are urged to tell us if any bullying behaviour occurs. Students can write on e-bully website. Students are expected to walk at all times when moving in and around the school. University of Auckland areas are out of bounds.